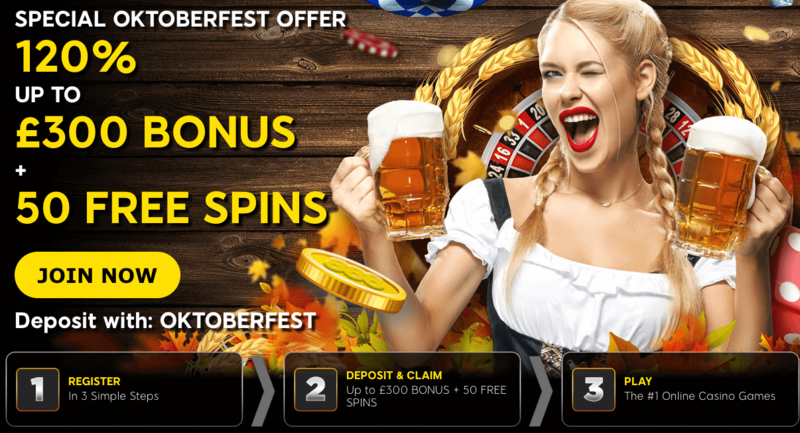 Deposit £20 minimum with the code OKTOBERFEST. Deposits made with Neteller and Skrill are not valid for this offer. You will receive a 120% bonus up to £300 plus 50 bonus spins to have fun with your favourite games. Wager the bonus and the winnings from the spins 30 times before you make any withdrawals. Bonus wins are capped at £500. Blimey, is this deal for real?